Facts: Mike Varda owned a modular home with a large attached garage in Terre Haute, Indiana, which was insured by Auto-Owners Insurance Company pursuant to a standard replacement cost homeowners policy providing dwelling limits of $150,000 and contents limits of $105,000. On May 30, 2009, while Mr. Varda was vacationing in Las Vegas, the house and all contents were destroyed by fire. 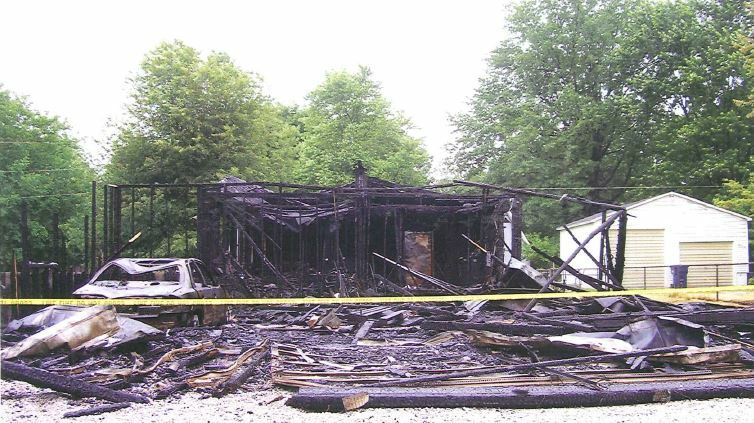 After concluding there was insufficient evidence to pin the fire on the insured, Auto-Owners decided to accept the loss and “pay the claim” and so advised Mr. Varda, his public adjuster, and his attorney, in mid December 2009. However, rather than pay the full replacement cost value of the house Auto-Owners paid Mr. Varda an “advance” of $75,000. Auto-Owners also paid approximately half of the value of the destroyed personal property, even though the adjusters involved admitted they knew at the time that Mr. Varda was owed policy limits for this portion of the claim. After receiving only partial payment, Mr. Varda’s public adjuster repeatedly requested a meeting with Auto-Owners’ adjusters for the purpose of attempting to reach a fair settlement of Mr. Varda’s claim. The adjusters admitted at trial that they refused to meet with Mr. Varda’s public adjuster. Further, although Auto-Owners had obtained its own estimate of the replacement cost value of the damage (which was substantially higher than the amount Auto-Owners paid its insured), it refused to provide that estimate to Mr. Varda’s public adjuster. Ultimately, an agreement was reached whereby Auto-Owners promised to pay Mr. Varda “at replacement cost” if he would provide a signed contract to rebuild his home. He did so. Auto-Owners still did not pay the claim and demanded appraisal pursuant to the policy’s appraisal clause. Each party proceeded to appoint an appraiser and an umpire was agreed upon. The appraisal award, entered about a month after Mr. Varda filed suit for breach of contract and bad faith, was not favorable to Mr. Varda in that the panel set the ACV of his property at a figure lower than what Auto-Owners had already paid, and set the RCV of his structure at a figure even lower than the secret estimate Auto-Owners had obtained. Auto-Owners counterclaimed against Mr. Varda alleging that he had been overpaid. Mr. Varda argued that Auto-Owners breached its contract and its duty of good faith and fair dealing by knowingly failing to pay what it owed on the personal property claim, by refusing to share its estimate with him, and by refusing to meet with his public adjuster to attempt to resolve the claim. He further argued that Auto-Owners waived its right to demand appraisal by refusing to meet. Contract Damages: Mr. Varda claimed that he was owed $75,000 for breach of the contract due to Auto-Owners’ failure to pay the limits of the structure claim. Bad Faith Damages: Mr. Varda asked the jury to award an appropriate figure to compensate him for the damages he suffered due to Auto-Owners’ refusal to deal with him in good faith. Punitive Damages: Mr. Varda introduced evidence that Auto-Owners was a $12.8 billion dollar company at the time it was refusing meet with him or pay his claim, and that the state of mind of the adjusters involved (which was shown through some very damning emails obtained in discovery) justified an award of punitive damages. The jury awarded $75,000 on the breach of contract claim, $200,000 for Auto-Owners’ bad faith, and $25,001 in punitive damages. (Varda’s counsel suggested a punitive damage figure of $1).